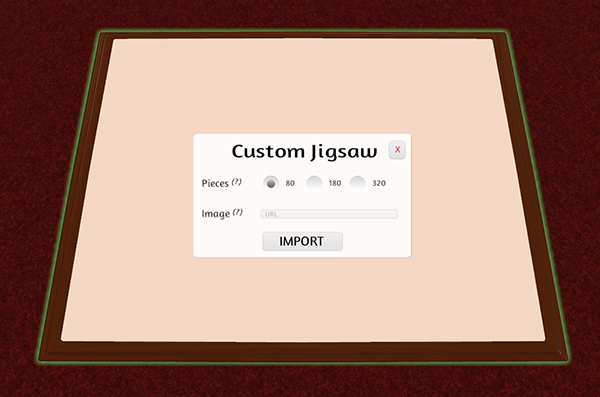 9/11/15 – Update v5.6 New Vector Drawing Tool, Updated Contextual Menu, & Jigsaw Puzzle Improvements! With the additions of many new features and hotkeys, the contextual menu was starting to get cluttered, so we decided to redo it! It’s now cleaner, easier to manage and look at, and something a lot of you would be more familiar with. We can also easily add more features to it. You guys have wanted a better drawing tool, and not only have we done that, we’ve given you the option to choose which one you’d like to use! 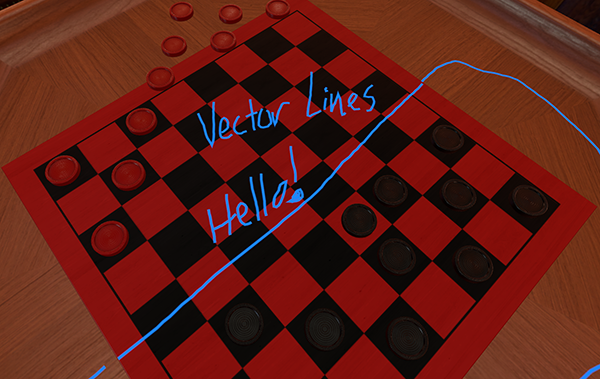 We’ve added in a Vector drawing tool, with precise lines AND you can actually use the Vector tool to draw on objects! So you can now choose between the old “Pixel” or new “Vector” drawing tools. Please note that the Vector tool is in beta, so there will be improvements and may be some things we’ll add to it in the future. 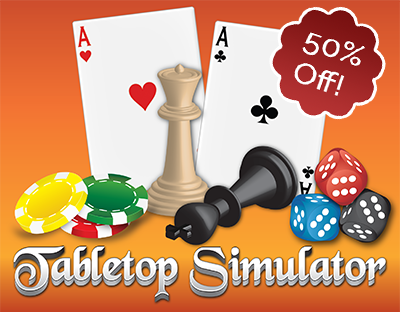 Tabletop Simulator is 50% off, our biggest discount yet on The Humble Store’s Encore Sale! So if you’ve been thinking about it, now’s your chance (individual copy only). Sale ends on Monday Sept 14th at 10am PST. Vector tool gives clean and precise lines. You can draw on any locked object (not 100% perfect). You have the option to use either the Pixel or Vector tool. Each drawing tool has its own set of options. Added two additional difficulty levels (180 and 320 pieces). Puzzle pieces now auto flip to the correct side when picked up. Fixed issue where puzzle colliders stopped working for clients. Fixed issue with auto raise not properly working on puzzle pieces. All 3 difficulty levels can be chosen when you input the URL. There are still more improvements & features to come. Contextual menu has been revamped with a cleaner look, is more user friendly, and more manageable. Additional options has been added to the menu for ease of use. Tooltips added to show what the hotkey is for each option (if applicable). Tooltips added for various other options (non-contextual). There are still some parts of the old menu in some areas. Added option to reverse hiding (e.g. everyone can see except this person). Added a transparent option that allows you to make hidden areas not see-through. Improved drag and drop spawning accuracy. Fixed 3D objects extending beyond UI window in the Chest. Fixed promoted players not playing the spawn object sound. Objects spawned from the chest now snap to the grid. Stacking objects are now much easier. Box select a bunch of objects and any object placed over another will automatically stack them all. You don’t need to aim with the object you actually grabbed when holding multiple. This makes the loot bag more useful and easier to manage, as all items will be dropped in automatically. This applies to cards, poker chips, loot bags and go bowls. Optimized a bunch of the game’s base code for reduced cpu usage. Greatly reduced the games garbage generation to reduce fps spikes. Optimized saving and loading, so they now run much smoother and faster. You can now pan the camera with middle mouse button. Saved camera positions will now load to the correct position and orientation. Camera will remember if you are in 1st person when resetting the view. Increased the max number of pieces you can grab at once from 26 to 32. 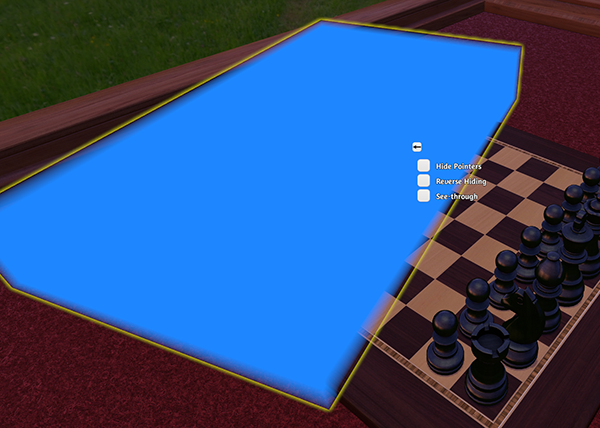 Adjusted the camera speed so it’s now based on the distance to the table. 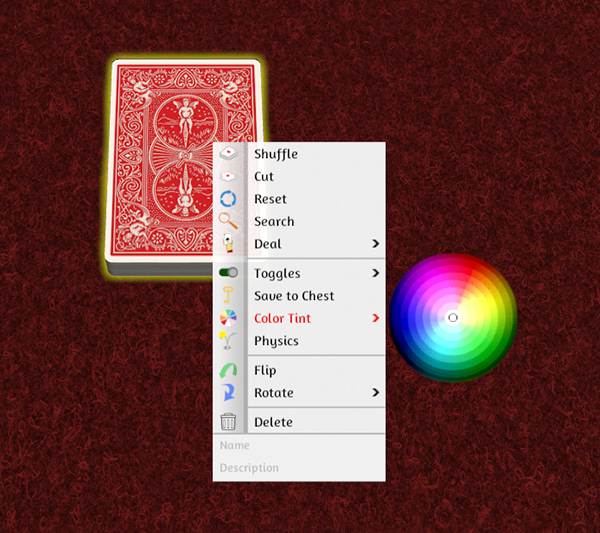 Contextual menu updated for Touch screen. Box selecting multiple objects will stay selected until clicking another object or area. Added new 2d pointer when using the Tablet. Fixed the server browser breaking when refreshing it too fast. Grid snapping not working at position zero. Fixed issue with late joining players not properly seeing who is on a team. When removing an object below another in semi-lock, the top object will no longer float in the air. Pressing ESC in the keybind menu no longer closes the menu. Fixed collision issue with duplicate tokens that are not default size. Fixed issues with late joining players for Custom Dice and Custom Token. Fixed hover highlight is not working properly with for 3d UI. Fixed mouse frame rate independent camera. Fixed having to press ‘R’ twice in semi-lock mode to flick up objects.